Photos of our outreach where we demonstrate the 3D printer to next generation. For more information, see ScienceVenture.ca. 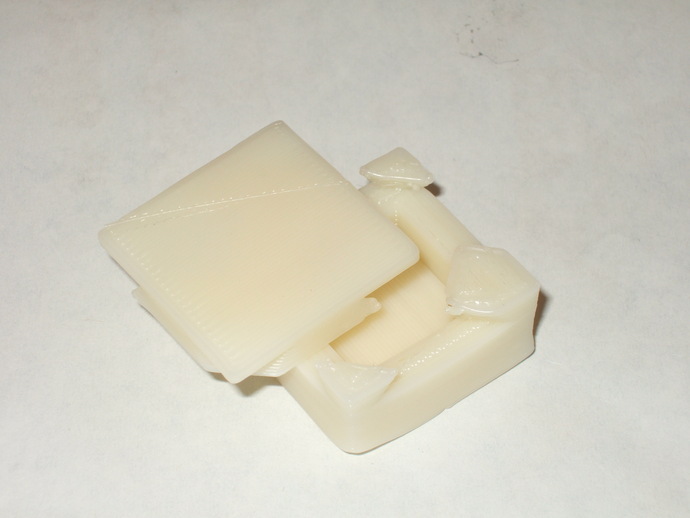 Mendrel: a conversion of the Reprap Mendel 3D Printer to a CNC Styrofoam cutter. Printing of 1/8th of the hull of Neil's autonomous underwater vehicle. A very cool puzzle box created by Nishat. Our mobile explorer robot. 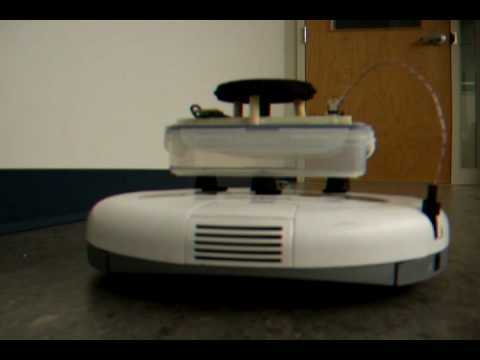 We use a Roomba as a mobile platform, with a netbook to control it. The white ball is an acoustic reflecter, which allows the robot to receive acoustic signals from any direction. An acoustic beacon used for localization. 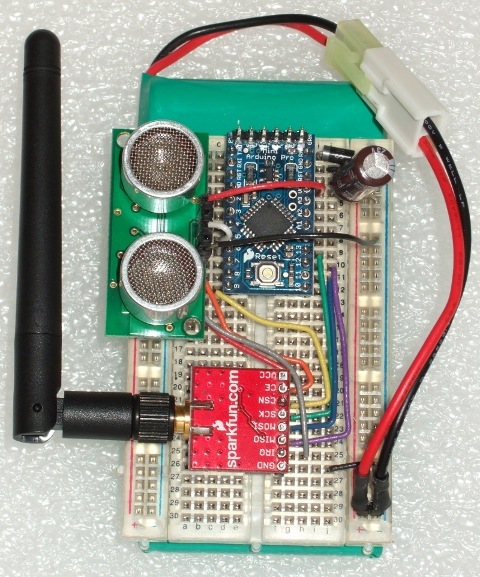 It includes a 2.4 GHz radio, an ultrasonic ranger, and an Arduino Pro Mini microcontroller. The explorer robot uses time-difference-of-arrival between a radio signal and an acoustic signal to determine its distance from a beacon. 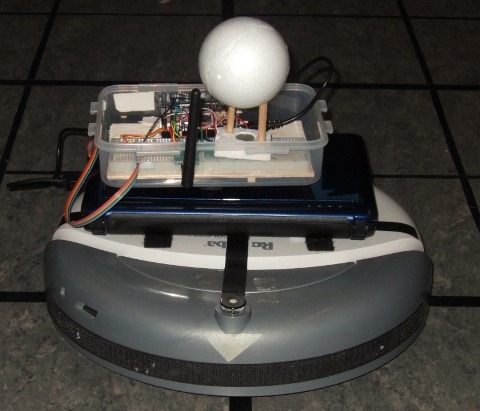 A Roomba equipped with a 4-directional infrared transceiver used for cooperative navigation. The acoustic explorer robot navigating in a square. The infrared cooperative navigation system in action.